It is used in conjunction with cloth tape because of its weak adhesive strength, but when glass overlaps Ideal for pasting as curing between. Especially I use it most often for mirror surface care. This review is about item#6904712. It is used for packaging of the stage materials and so on. I always use it. It was suitable for stopping punch carpet in the practice area. The width of 100 mm was very handy, it was repairable at once. Because 50 mm width is useless unless you use it many times. This review is about item#7180494. I am purchasing repeatedly because the tape runs out well and is convenient to use. This review is about item#12122608. I think that it is very good. There is a trace (adhesion) and the power of pasting remains. There are other manufacturers, but I have been repeating all the time. This review is about item#06904712. Cleaning curing of air conditioner etc. I tried using other manufacturers, but it is easy to use with just good adhesion condition. Since it is a manufacturer that has been using from a long time ago It is suitable for renovation curing. I usually use one with a width of 50 mm, but purchase to reduce the trouble when the tube diameter is large. As I expected. This review is about item#20036153. 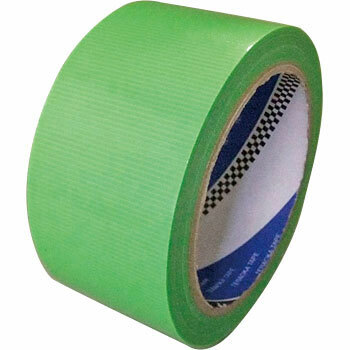 There is no adhesive residue than paper or cloth tape, easy to peel and easy to use. This review is about item#34710243.